This exhibition brings together three haunted artists, each in their own way, through the resurgence of archaeological forms, persistent traces that persist in their works. Forms are seeking, updating, resurfacing, reusing the archive, activating them by molding, destroying landscapes of ruins to better reconstruct them. 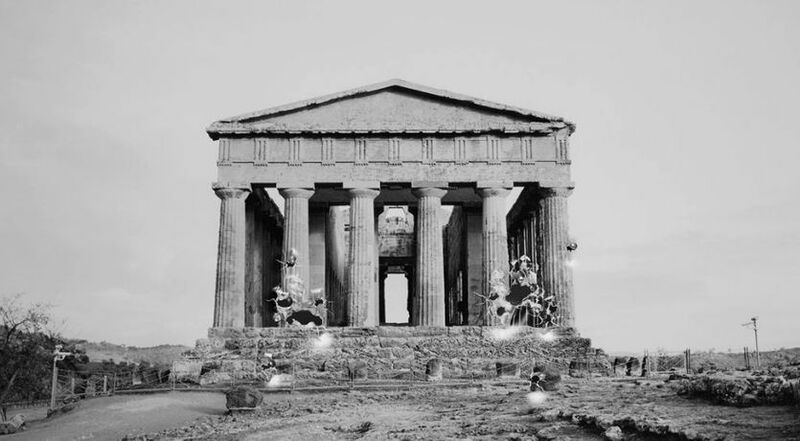 Thus, Thomas Hauser's work brings together photography, installation and sculpture, to reinvent a memory, permanently reconstructed, according to an archaeological device that is at once a dynamic of burial and revelation. His work is an awakening of dust, in the wake of his active memory, beyond disappearance. What, in a photographic image was impressed one day, to be taken and rewoven in the present? His works are then temporal stratifications, muted and material, obtained by degradation of the halftone image. He stages fields of ruin, on which murmurs still fragmentary presences, blocks of time. Echo, Ugo Schiavi works by casts, which are as many pirate samples that he realizes in the streets of our cities, from the statues that graze us, and that we almost forgot to look at, so much they are part of our environment . The casts he creates with his models in the public space are a way of catching up with the forms: contemporary bodies mate with the sculptures of another time to give them a new light, without hiding their source. Concrete irons remain visible on hoodies, while mating with ancient drapes, in a new, raw, fast, energetic, instantly photographic choreography. Finally, Dune Varela explores archaeological sites that she photographs in medium format, in Tunisia, Italy, or Sicily. These images are then used as material for sculptures, made on shreds of ceramics or broken glasses, which will mimic the debris preserved in the windows of some museums, those where one can still get lost in the reserves and shelving, in Athens or Naples. With her, the vulnerability of what is contemporary to her is a reflection on what is no longer, but still remains, beyond forgetting. It submits Antiquity to a reappropriation that might look violent, whereas it seeks only the encounter: when it pulls on a temple image or bomb a Greco-Roman face, it actually makes explode the material on the surface, to talk to him better. 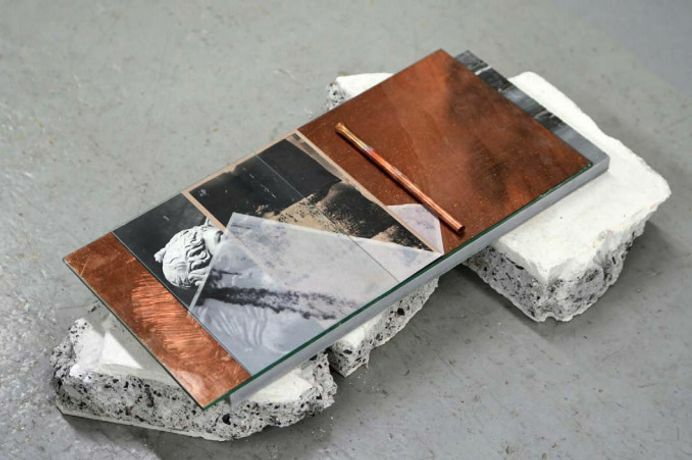 The specificity of the gestures of these three artists is disturbing, as it seems to draw a line of protest, out of the expected mediums, working in the heart of a subtle alliance - at the points of contact and multiple metamorphic transformation - of sculpture and photography. We will walk through this exhibition to better understand how history would still have something to tell us, and what we can ask. We are waiting for a sign; in this, the reinvented rubble will testify to their eminently political nature.